An Ohio child was taken from his mother and placed into foster care because of his weight. He is a 200-pound third grader who has been in a doctor’s care and the state intervened about a year ago to monitor progress. I’m on the fence. Yes, parents should be responsible for their children’s physical health just as they are charged with that child’s overall well-being and security. When a child becomes morbidly obese, there is definitely an issue and the child’s life expectancy is significantly lowered. However, should a child be taken and placed in foster care? I have not followed this story or read the myriad of articles and opinions- only a few. And I am not a psychologist or doctor, however I am a mom. I ensure that my children eat well which to me means healthy and sensible meals. I want them to grow up with good eating habits as well as being fit and living long. Will my efforts ensure this? Not necessarily, but I want to do my part. Research says that genetics determines obesity but I’m not sold. Environment such as eating habits and physical activity are said to play a role. I think many parents don’t go the extra mile for their kids for a variety of reasons. Some are tired, overwhelmed, don’t care and some simply do not know what to do. Being a parent means putting your child first. It means giving better than you may have received. It’s a tough, tiring and sometimes thankless job and you will surely make mistakes. With that said, I think for the most part, parents do their best, even with the challenges and baggage that they may carry. So back to the issue at hand. Is it best to remove the child and place them into foster care? Again, not sure. I think in extreme cases such as in Ohio, something must be done. I think initially there should be intermediate steps; interventions should happen along the way so that it does not reach that point. I think education/support for the parent should occur; there may be some additional contributing factors. Next, I think a family member should get the placement first, if possible, while the parent takes steps to change. We all know that foster care can be horrible for children and change the trajectory of their lives when a placement goes badly. Additionally, it can become a custodial slippery slope for the biological parent. So what is the solution? I think the answer lies somewhere between loving your child and accountability. This is not a judgment but a line must be drawn. I am hopeful that a resolution is found that improves the life of an eight year-old boy. When are we as a nation- as a world- going to become champions for our children? The level of abuse that children suffer worldwide is sickening. Why do people continue to protect those who seek to destroy the lives of children? The Penn State scandal is another example of someone in a position of authority and trust taking advantage of those entrusted to them. Paterno and everyone else who covered for Sandusky should be concerned about far more than their jobs. And I can not understand the students who are rioting and protesting against this man’s termination. In their passionate pleas, can they not understand the cost of his unwillingness to speak up? POTUS Maximus, did we not learn about the dangers of a hot mic during your presidential campaign? Lest we forget, Jesse Jackson’s “private” outburst regarding what he would do to then-Senator Obama’s private parts? This World Heavyweight boxing and olympic champion was known as the “working man’s champion.” His record boasts 32 wins (27 by knock out) and 4 losses. Smokin’ Joe Frazier had a personal and professional love/hate relationship with Muhammad Ali to whom he lost twice but beat on their first mtach up. Frazier died of liver cancer. I am not a fan of BET by any stretch of the imagination. However, when they partnered with Beverly Bond to further her Black Girls Rock Movement, their stock increased with me. 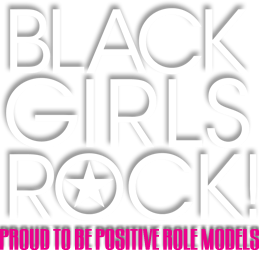 Recently, I watched the televised special with my teen daughter during which they honored famous Black “Girls” who rock and recognized little known Black “Girls” who rock based on their contributions to society. The annual show is to increase public awareness of the nonprofit’s programming and bring attention to Black Girls’ contributions to the world. It also featured performances by famous Black Girls as well as video vignettes of empowerment. BUT WHAT!?! I left that one alone. I chose my battles, but seriously? I was/am a Black girl and to say that I had self-esteem issues would be putting it mildly. When you don’t see your self, your face represented, it does something to you- something profound. That’s not to say that other girls don’t have similar issues but that is not a reason for this woman not to fulfill her vision to help those girls who are her mirror image. Further, the organization is open to all girls and its mission addresses all girls of color. Established in 2006, Black Girls Rock provides leadership camps, poetry and deejay workshops, empowerment groups and college prep services for teen girls of color. Its mission is to promote the arts for young women of color, as well as to encourage dialogue and analysis of the ways women of color are portrayed in the media.